This show is purely amateur hour. The comics are usually not very good but the show is cut in such a bizarre and annoying way maybe they would be better if we could actually watch them do all their jokes instead of cutting quickly from comic to comic doing one joke at a time. They need better comics too though I think. 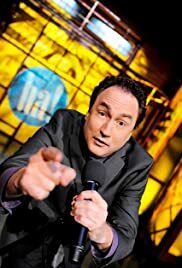 The host is a total loser too doing the worst jokes ever but he is the loser from This Hour Has 22 Minutes so I guess that is no surprise.